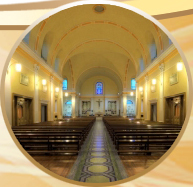 Members of the Parish Pastoral Council are Fr Alex Conlan (President), Mary O’Dwyer (Chairperson), Siobhan Speers (Vice-Chairperson), Sean Costelloe (Secretary), Sr Nuala Kennedy, Sr Bernadette Reynolds, Brid Keelty, Mary Ruane and Sadie Tunney. Every Saturday, from midday to 6.50pm, an opportunity exists for quiet personal prayer in the presence of the Lord. It is important that there would be at least a few people present in the church while the Blessed Sacrament is exposed. You are welcome to visit at any time. Members of the Liturgy Committee are Fr Alex Conlan, Sr Nuala Kennedy, Brid Keelty, John Lovely and Mary Ruane. This committee organises the liturgies and discusses preparations for novenas, missions and retreats. 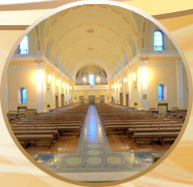 The Family Mass takes place each Sunday at 10.30am during school term. It is organised by families in the parish who recognised that having a Family Mass encourages parents and children to grow in their faith. Our Parish Choir leads the singing at the 12pm Sunday Mass. This music also enriches our celebrations at Christmas, Easter and other special liturgies during the year. Choir practice is at 7pm on Wednesdays. Ministers of the Eucharist distribute Holy Communion at all Masses and bring the Blessed Sacrament to the sick and housebound in the parish. Ministers of the Word proclaim the Scriptures at all Masses in Harold’s Cross. Lectio Divina (‘Divine Reading’ or Praying with Scripture) is held in the Pastoral Centre on Wednesdays at 7.15pm from September to June. The Bible passage will be the Gospel for the following Sunday. All are welcome. 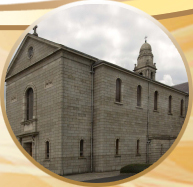 The Bereavement Support Group is a voluntary parish based ministry which aims to help the bereaved and grieving, and which organises the Annual Mass for the families of those who died during the year. The Altar Society beautifies the sanctuary and side altars with floral decorations and banners, etc. It also prepares and cleans the altar linens and vestments. New members are most welcome. St Joseph’s Young Priests Society promotes and supports vocations to the priesthood and religious life. The Parish branch of the Society meets on the first Tuesday of the month immediately after the 10am Mass in the Parish Pastoral Centre. 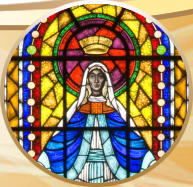 The Parish Presidium of the Legion of Mary meets every Monday evening at 8pm in the Parish Pastoral Centre. Their work consists of home visitation, a monthly Patrician meeting and the recruitment of members for the Confraternity of the Rosary. Visitors are welcome. 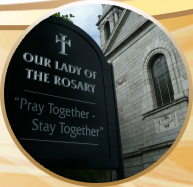 The Harold’s Cross Branch of the Society of St Vincent de Paul meets in the Confraternity room every Thursday at 8pm. This group manages the smooth running and maintenance of our Pastoral Centre – Rosary Pastoral Centre. Its members are John Lovely, Olive Miggan, Yvonne Nolan, Mary Ruane and Siobhan Speers. This committee comprises Kevin Ahern (Chairperson), Declan Murray, Joan King, Siobhan Speers and Denis Smith.